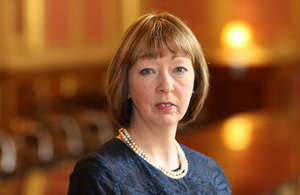 Ms Alison Blake CMG has been appointed Her Majesty's Ambassador to the Islamic Republic of Afghanistan. Ms Alison Blake CMG has been appointed Her Majesty’s Ambassador to the Islamic Republic of Afghanistan in succession to Sir Nicholas Kay KCMG. Ms Blake will take up her appointment during May 2019.